I remember when I came to Ahm, I didn’t like the place initially… truely speaking its more happening city than my hometown but somehow the streak of being lonely without a bunch of good old friends made me dislike the place… INITIALLY. Later I made some friends, and found a good job with a publishing house as a creative director and the whole free time got converted into busy working hours. I realized I needed more friends to feel fresh once in a while but could make only a few- friends who are friends to my husband. I met some amazing girls and I knew I could fit in right there and make myself a bunch of friends who I could chat around and hang out with, share a meal or just talk about morning blues over wats app!! 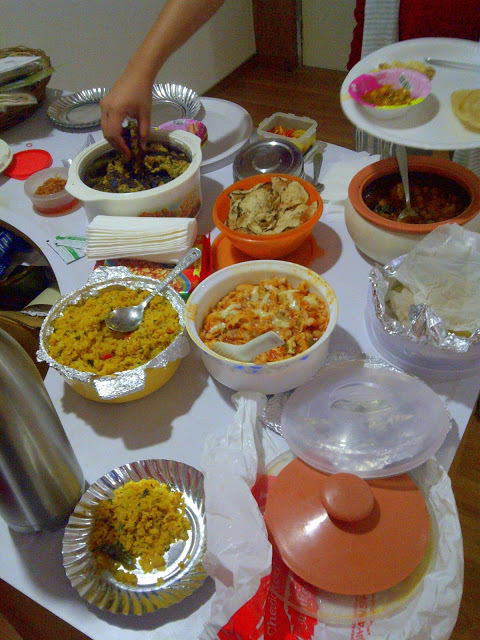 And here comes that time I had my last potluck session… a lot of food and saying good byes with a heavy heart! From pasta to infamous gujju handvo and poha and cholle bhatura and halwa… it was a delight! 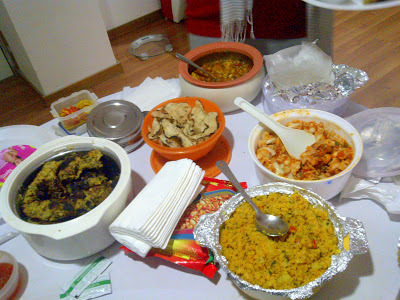 we gorged into all things with a lot of delight! 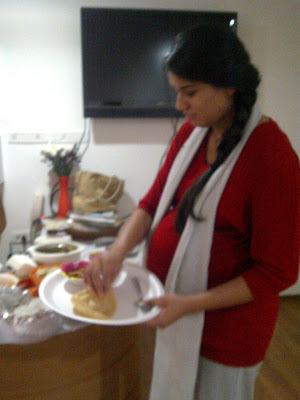 VJ- she just delivered a baby girl last evening… mwaaahhh… u are one gorgeous mommy! 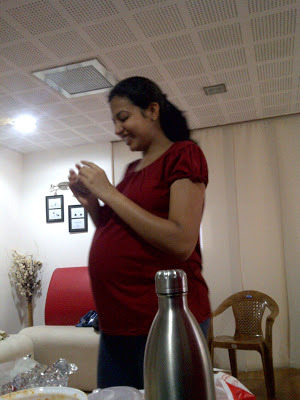 Godmother to all the kiddos- Rita… she has been there during our mid night cramps and shallow mood swings, from cribbing about m-i-l to pushing us to exercise and make ourselves fitter as we gain baby weight! 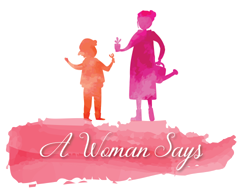 ohhh… the goodies she prepares for us and the laughs we share with her… her lovely morning smile and the way she greets us with her special ‘how are you today?’ is filled with so much of warmth. I truly miss her a lot now. 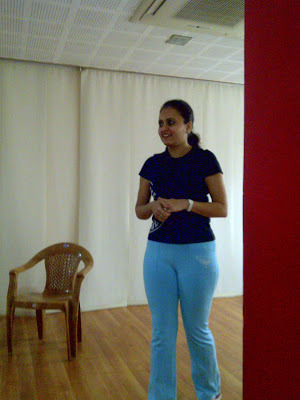 p.s rita, i am sorry i have a very different looking pic here… but this is how i remember u, in your tracks smiling away, running around for us making us feel at home. and here is a picture of all my beautiful girls- with vj missing. cheers to a wonderful motherhood !